If you’ve been considering getting into the spa business, right now might be the moment you’ve been waiting for. The current economic climate is very positive for businesses that are focused on personal rejuvenation, relaxation, and wellness. In North America in particular, consumers are eagerly embracing products, services, and technologies that afford them opportunities to experience a respite from the non-stop pace of life today. 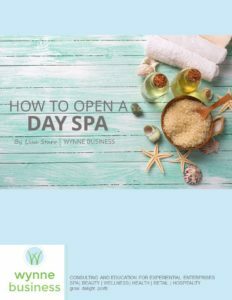 Get started in the right direction with How To Open A Day Spa – a free eBook by veteran spa consultant Lisa Starr. Lisa has worked with clients around the globe and uses her real-world experience to make sure you don’t miss any important steps for opening a day spa. Download your free copy today!